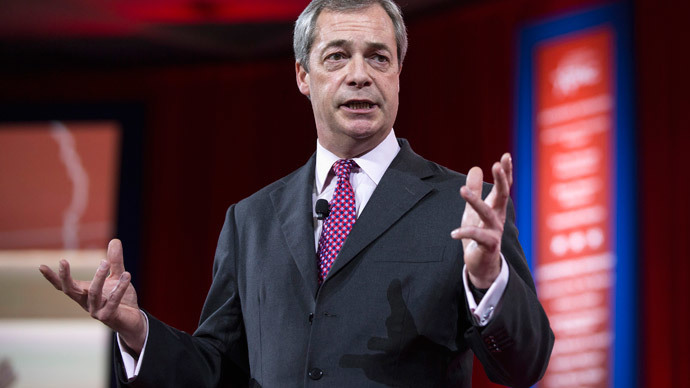 The children of immigrants to the UK should not have access to state education until they have lived in the country for five years, UKIP leader Nigel Farage has controversially suggested. He thinks parents who have migrated to Britain should have to pay for private education until their children qualify for a place at state school, in order to deter immigrants attracted by the UK’s education system. The proposal has drawn criticism from those opposed to UKIP’s populist anti-immigrant policy, which has been branded “racist” by protest groups. When questioned about the policy by the Guardian and Mirror newspapers, Farage said it would not appear in the election manifesto because it was a “difficult” issue, but added he was in favor of immigrants leaving their dependents in their country of origin. The UKIP leader, who wants to introduce an Australian points-based migration system to the UK, said it was “not unusual” to deny recent immigrants access to healthcare and education. “Basically, people would bring dependents, not immediately. They would bring them after a period of time. I think the most important thing is that those that come do have healthcare. That’s really, really important, and on the life-threatening disease stuff, that’s perfectly clear ... The dependents thing is much more difficult,” he said. He said he believed immigration was his party’s strongest policy “without any shadow of a doubt,” adding that it was more popular than their campaign to hold a referendum of Britain’s membership of the EU. “If you employ chauffeurs, and nannies and gardeners, then the Eastern European opening of the doors has been great. I never said it was bad for everybody,” he added. The group Stand Up to UKIP, which opposes Farage’s policies, claims the party has garnered support by presenting itself as anti-EU, while hiding its underlying message of racism.